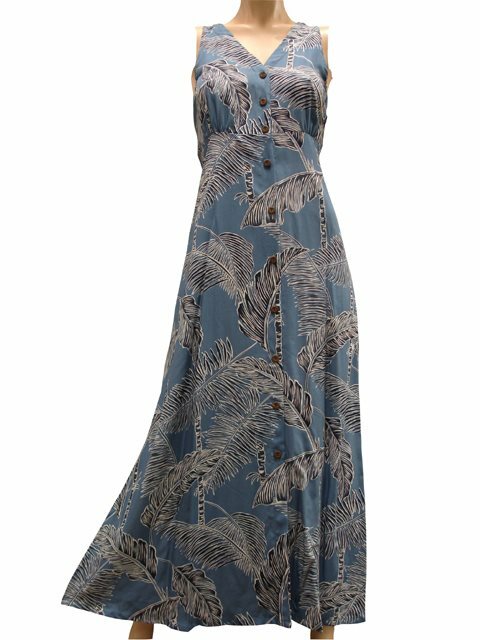 This is a long dress with slits on the sides at the bottom. Slits on the sides at the bottom, Two side-seam pockets. A tropically inspired line of Aloha wear featuring designs of the Hawaiian island lifestyle, with top quality fabrics and sewing in Hawaii.